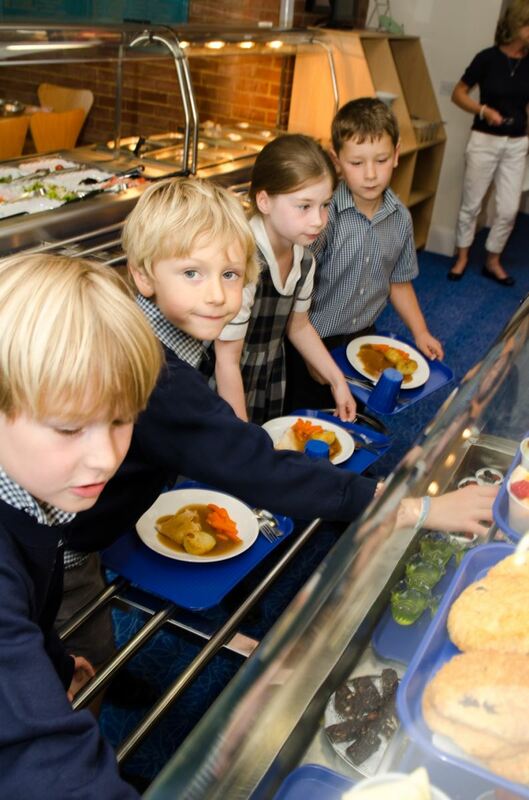 The school has its own caterer who works out a programme of meals, providing both variety and good nutrition. Daily menus are available on the Parents’ Noticeboard in the car park and below. We also cater for children who need special diets. Staff eat with the children. We aim for all food leaving the kitchens to be nut free. We also ask parents not to send in any food that contains nuts or traces thereof. While we understand that a completely nut free school cannot be guaranteed, we aim for a whole school awareness of allergy, educating all staff and pupils in the signs and symptoms and how to deal with allergic reactions. Ham, Feta, Vegetable Tarts, Quiche, Prawns, Egg Mayonnaise, Gala Pie, Turkey, Roast Beef, Pork, Fresh Salad and much more. Chocolate Chip Cookies, Lemon Meringue, Yoghurt, Chocolate Fudge Cake, Millionaires Shortbread, Mousses and much more. Bread & Butter Pudding, Brownies, Crumble & Custard, Pie & Custard, Banana & Custard and much more.